When purchasing wheelchair vans through our online purchase program, you can stay home in Kingston, New York, and be served by one of the top dealers in the nation. 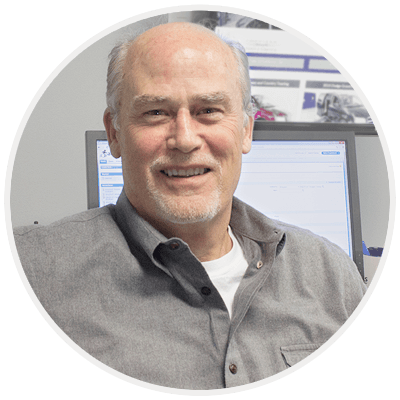 We'll match you with a personal mobility consultant who'll conduct the sale on your schedule, creating a custom experience. Once we conclude the sale, our mobility professional will deliver your new or used handicap van to your front door in Kingston, New York, in less time than you think. Have your handicap van driven from our office to your driveway in Kingston, New York, by a mobility professional, and then, fly home. Avoid almost 1,000 miles incurred as a result of delivery or pick-up-- we can drive a truck with your wheelchair van on a trailer to anywhere in the Kingston, NY area. For our most economical choice, we invite you to come to our headquarters located in Atlanta, GA, to pick up your handicapped van personally. Typically, when customers travel to us from Kingston, New York, they qualify for our pick-up discount that comes off the purchase price, just for taking their adapted van home. When your vehicle arrives, our free "White Glove Service" shows you how to operate all the aspects of your wheelchair van before we leave you with the keys. We'll provide a tour of the safety features on your handicap van, demonstrate the accessible and factory features, and answer your questions. Satisfied customers are paramount to our continued success, so we guarantee every wheelchair van at the time of delivery. If you feel, upon delivery, that your handicap van isn't the one we presented online or during the sale, or if you just aren't happy with it, we'll take it back to our facility, where we'll rescind the sale and deliver a refund of your payment. If you'd like to have another opinion, we will meet you at your mechanic in Kingston, New York, and wait while they do a check-up before you make a final decision. Wheelchair van conversions by AMS Vans are a good fit for families and businesses alike. 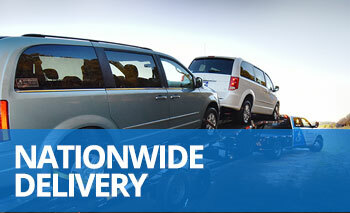 Commercial uses of our handicap vans include accessible taxis and non-emergency medical transportation. Call 800-775-VANS (8267) now to learn more. We'll compile a list of your unique accessibility needs and identify some handicap vans for sale for your consideration. Once you choose a favorite to purchase, we'll handle it from there while you focus on life in Kingston, NY. We've been bringing customers across the country affordable accessible transportation since 1999, and we look forward to coming to Kingston, New York, to deliver a new or used wheelchair van to your front door soon.